Globally, the voices of the South Asian community are often missing from the narrative. In terms of movements, literature, and even in popular culture, we remain entangled in stereotypes and are often unable to tell our stories. In such a scenario, here is a list of the most recent books written by South Asian authors. These authors use writing as a medium for their activism and to explore the conflict, longing and belonging of the significant population that belongs to the diaspora – or those who are still back home and are learning to love, question and accept their culture through its warmth, quirks and traditions. Chitra Banerjee Divakaruni is best known for “Palace of Illusions”, a retelling of the Mahabharata narrated by Draupadi. She is a part of the Indian diaspora in the US. She extensively uses imagery in her novels. She frequently describes surroundings, smells and people through her words to evoke visuals of home. “Before We Visit the Goddess” is her latest offering. Based in West Bengal, it is the story of a poor woman who cannot afford to go to college. She is adopted by an influential woman, but a mishap causes the relationship to go sour. The book explores the effect of her choices on her daughter and granddaughter, and the different kinds of love that bind us. Mohsin Hamid was shortlisted for the Man Booker Prize for his book, “The Reluctant Fundamentalist” (2007). 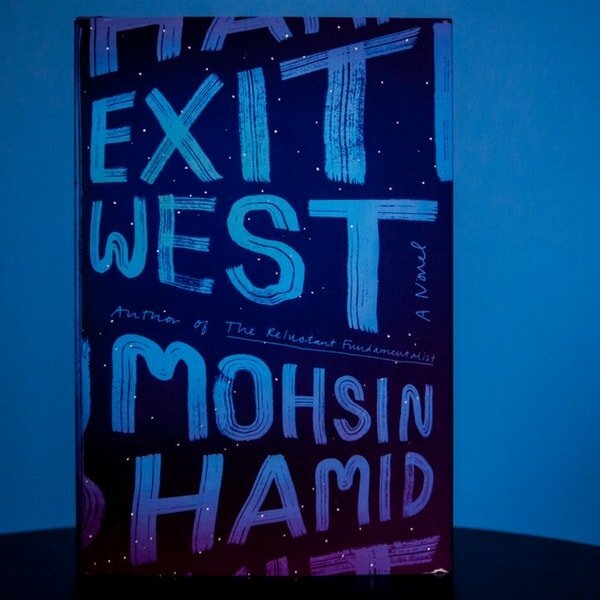 His latest book “Exit West” is about two people, Nadia and Saeed, who fall in love in a war-torn city amidst bomb-blasts and beheadings. They eventually flee to the West as undocumented immigrants – as refugees. Nadia Hashimi is an American of Afghan origin. “One Half from the East” is her first book for younger readers. It is the story of Obayda, a young girl whose family needs some good fortune – after her father loses a leg in a bomb-blast, forcing the family to relocate to a small village. Her aunt comes up with an idea to dress up Obayda as a bacha posh (a cultural practice in which families without sons pick up a girl to behave like a boy), and Obayda starts living as Obayd. Life is confusing, until she meets another bacha posh, and together, they discover the freedom that they didn’t have before. They can climb trees and play sports – things they were never able to do as girls. This coming-of-age novel is about friendship, acceptance and facing one’s fears. Nayomi Munaweera is a Sri Lankan-American author, and winner of the Commonwealth Book Prize for Asia. Her most recent novel, “What Lies Between Us”, starts with an unnamed woman who is in prison for committing a terrible crime. At this point, you may have many questions (‘where’, ‘why’, ‘who’, etc.). She proceeds to answer all of these questions with her own story – from when she was a baby born to a loving family, to fleeing to America, and all the events that led her to commit a single and possibly unforgivable crime. The book is narrated in first person, but the narrator remains unnamed until the end of the story. Mysterious, haunting and heartbreaking – this is her confession. “Stained” is Abda Khan’s debut novel. It is about Selina, a Pakistani-British girl who has recently lost her father, and is now suffering from the trauma of being sexually abused by a trusted family friend and publicly-respected individual. She struggles to deal with the assault, and tries to keep it a secret to protect her family’s ‘honour’, which is a recurring theme in the novel. The book also addresses victim-blaming of women within the Muslim community. It shows how the harmful ideals related to tradition, the conservative nature ingrained in a large part of the South Asian community and the gender dynamics affect victims of sexual abuse. Even though the title of the book may immediately throw you off, contextually, it addresses how women are considered stained or impure when they are sexually abused. This is the debut novel of Sri Lankan writer SJ Sindu. The LBGTQ community is a topic that has remained largely unexplored by South Asian writers. In this book, the author discusses the reluctance of many South Asian families to discuss sexual orientation and gender, which eventually leads to many children facing mental illnesses and body dysmorphia from a young age. “Marriage of a Thousand Lies” is a book that tries to start a conversation. It is the story of Lakshmi, a queer person, who marries Krishna (who is also queer) to conform to the cultural expectations of her Sri Lankan family. It is not until her former girlfriend Nisha is about to get married that she is shaken up, and starts to re-evaluate her own decision. This book is a poignant, heart-warming love story. Coincidentally, it’s also the type of story that we like the most. Aakanksha Sardana is an intern at Youth Ki Awaaz.